Care home fees in England can vary substantially from provider to provider and from location to location. Understanding care home funding and accessing the right type of funding assistance can seem like a daunting task. With 50 years’ experience in providing quality care homes and retirement housing, we have put together the information below to help you better understand care home funding and raise some points for you to consider when choosing a care home. It is usual for residents in care homes to contribute towards the cost of their own care. Some people have the resources to pay for their care in full, whilst others make means-tested contributions. The government sets national limits that determine eligibility for funding assistance. The current (2018) threshold for self-funding (paying the full cost of your own care) is £23,250. Individuals with assets, including property and savings of £23,250 or above are currently expected to fully fund their own care. This threshold can be subject to change, so it’s always advisable to check the figures when choosing a care home. 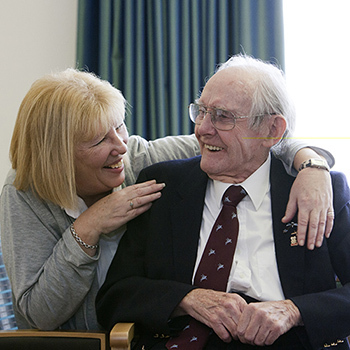 Those who are able to pay for their own care can contact care homes directly. Once a preferred care home has been identified, the care provider will conduct a needs-based assessment. The majority of Anchor care homes accept both private fee paying residents (self-funders) and local authority funded residents. How much is a weekly private fee? At Anchor our weekly private fees can vary depending on where the care home is, the type of room offered and care services required. Our range of private fees currently (2018) start from £660 a week. What is included in my weekly fee? television licence, for your use of digital or satellite television in your room for residents age 75 and over (residents under age 75 will need to pay an annual charge set by TV Licencing to join the shared TV licence). personal purchases such as stationery, confectionery, toiletries etc. private telephone line rental and calls and cable connections. care staff accompaniment to regular medical appointments. As fees and what they include can vary from provider to provider, we always advise that you take time to read through any contract before signing, making sure that you understand precisely what you are paying for. Do I need to make an upfront payment or pay a deposit to secure a room? 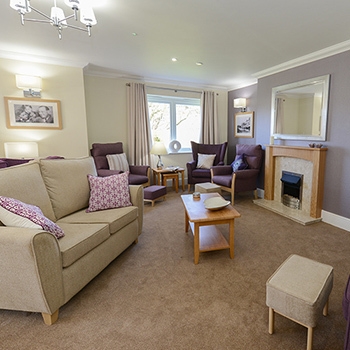 No upfront deposit is required at any of Anchor's care homes to secure a room. If you are approaching a number of care home providers it is often good to ask if they require a deposit. For those who think they may be eligible for care home funding support, the first step is to speak to your local Social Services department or GP. An assessment of your care needs will be undertaken and, if it is determined that you require residential care, a financial assessment will be completed by Social Services. The financial assessment will take into account your income (including pensions and benefits) and capital such as savings, property and investments. As this financial assessment is based on the assumption that you are claiming all the benefits available to you, it is important to make sure that you are. All of this information will then be used to decide how much you can afford to pay towards your care home fees, how much the council will contribute, and to suggest suitable care homes for you to consider. If there are no homes in the area that provide suitable care, the local council may be able to subsidise any additional care home costs for a more appropriate home in another area. If a person is local authority funded (council funded) a third party top-up fee may be charged. This is a weekly cost covered by a third party, typically a family member. The local authority should let you know if a contribution needs to be made to the fee they pay to the care home provider (commonly called a ‘Third Party Top-Up’) and whether it should be paid to the local authority or to the care home provider directly. This amount may change periodically. NHS continuing healthcare (also known as CHC) is a package of care which is arranged and funded solely by the NHS Clinical Commissioning Group (NHS CCG) for individuals outside hospital who have ongoing physical, mental health or healthcare needs arising from a disability, accident or illness. If an overall assessment of care needs shows that an individual has a ‘primary health need’, they could be eligible for NHS continuing healthcare funding. The first step of assessment is the Checklist Tool, which is a screening tool to help health and social care staff determine whether it is appropriate to undertake a full assessment for NHS continuing healthcare. The NHS CCG makes eligibility decisions and arranges and funds the care package, unless an individual chooses a personal health budget. In a care home, if someone is eligible for NHS continuing healthcare funding, the NHS CCG would pay the care home fees. The majority of Anchor’s care homes accept this type of funding, this can be discussed with the Home Manager. 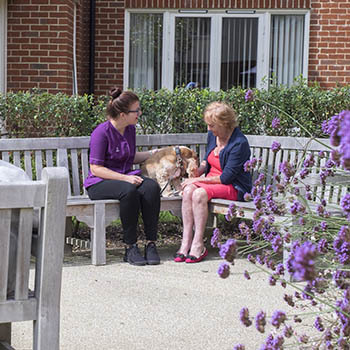 As with any type of funding, our care home will need to carry out a pre-admission assessment to ensure they are able to meet the needs of the individual. If an Anchor care home resident becomes eligible for NHS continuing healthcare funding during their stay in an Anchor care home, the home would be required to confirm that they are able to meet their assessed needs and the NHS CCG would be responsible for meeting the cost of their assessed care needs and accommodation. The continuing healthcare funding would be expected to be paid at an amount that is equal to the resident’s full weekly care home fee, as third party top ups are not allowed under NHS legislation. Regular reviews are part of the NHS continuing healthcare process. If an individual is eligible, or were considered for NHS continuing healthcare funding and the NHS subsequently provides or funds any part of their care package, a case review should take place no later than three months after the initial eligibility decision and then at least annually. The focus should be on whether the individuals needs have changed and consequently whether their care plan needs revising, but any change could affect whether the individual remains eligible for NHS continuing healthcare funding. 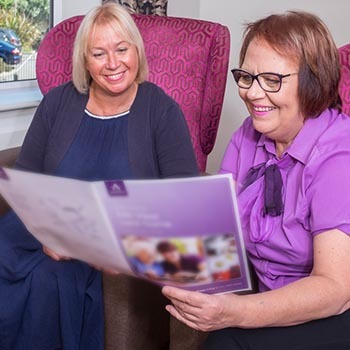 Your chosen Anchor care home management team can provide you with more information about our care home fees and answer any questions you may have about living with Anchor. For more information on funding assistance, including details of the current capital limits, visit Gov.uk, the Government’s public services information website, or speak to your local Social Services department or GP. Further advice and guidance can also be found on the Disability Rights UK website, including a range of free factsheets covering topics such as how to apply for an assessment from social services, care charging and changing legislation.